Think with your heart and prepare to die . 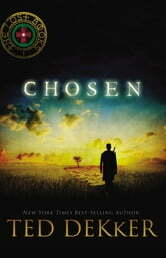 . . for you have been Chosen. Unknown to Thomas, the chosen four are redirected to a different endgame. They must find the seven lost Books of History before the Dark One. For these seven books have immense power over the past, present, and future, controlling not only the destiny of their world . . . but that of ours as well.